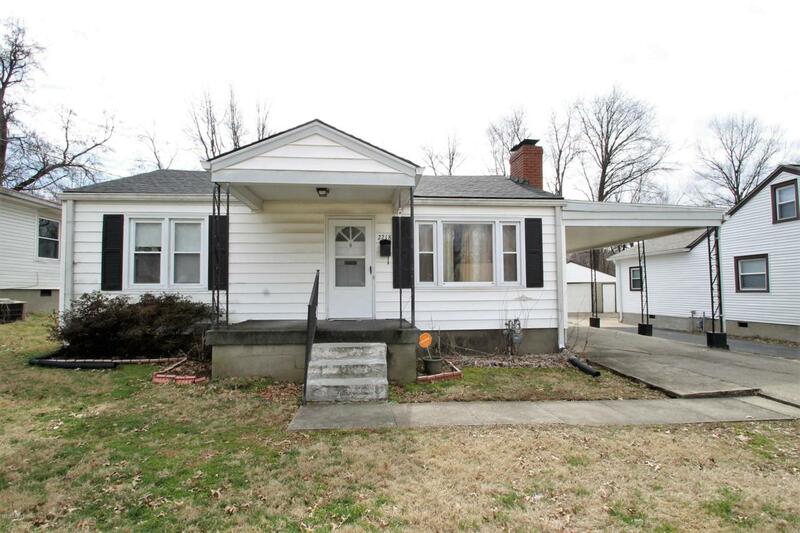 HERE'S A HOME TO BUILD A DREAM IN WITH LOTS OF ROOM TO ROAM....Located on a friendly, quiet, dead end street in Shively, close to expressways and southern Indiana. Offering 3 BR, 1 bath, formal living rm. that offers a cozy wood burning fireplace. Kitchen w/oak cabinets, electric range, microwave, refrigerator & built in dishwasher. Huge family room with French doors that open up to back patio. Chain link fenced back yard, 12X16 storage bldg. w/electric & loft. One car carport. Call to schedule a showing today!